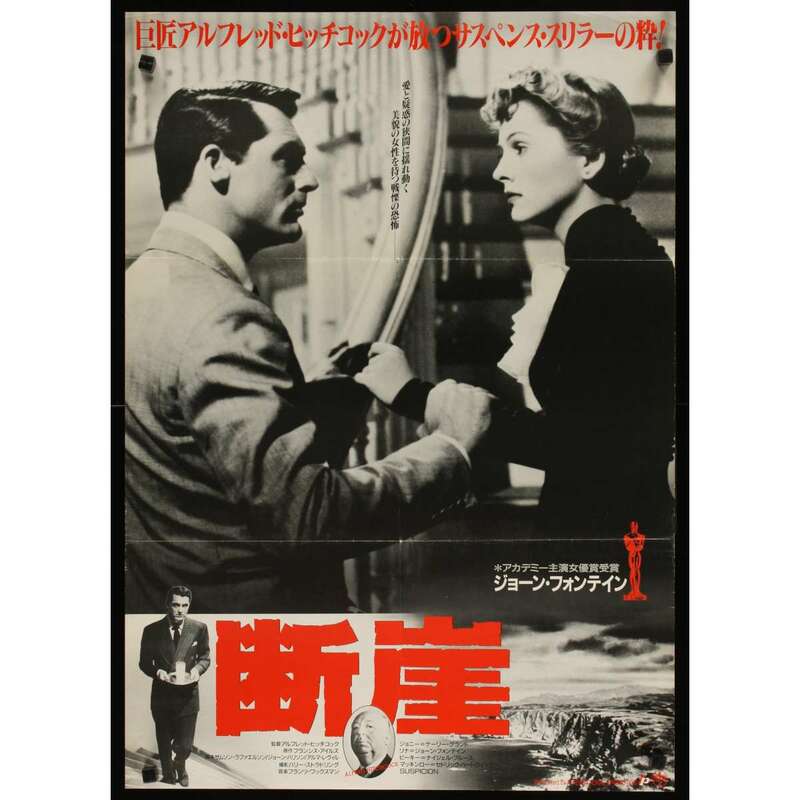 SUSPICION Original Japanese Movie Poster - R1970 - Alfred Hitchcock, Cary Grant. Size 20x29 inches. Condition: very good to excellent.